There was a time not so long ago when custom launchers ruled the roost. Google’s own offering was pretty basic and unimaginative, and the stock versions pre-installed by many OEM’s were at times shocking. Now with Google making their Now/Nexus/Pixel launcher with it’s Google services integration available to all, and OEM’s generally toning down their own modifications the humble 3rd party launcher doesn’t hold quite the sway it once did. Bringing something unique to the table may just be the way to go launcher developers, but a unique selling point also has to be useful to work. 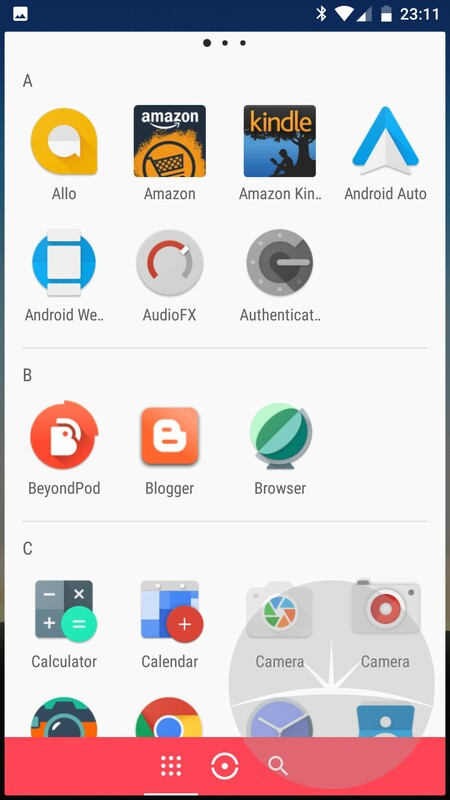 Thing launcher steps forward from the crowd by automating tasks, think Tasker integrated directly into your launcher and your not very far from the mark. However far from the complicated syntax of Tasker, Thing launcher has attempted (like many Tasker clones) to make creating ‘agents’ a more natural process. By using simple English sentence structure the hope is that it is simple enough for everyone to use. Unfortunately there is no documentation (or none I could easily find) do knowing what you can ask of it becomes a case of examining the sample agents and working from them. The other problem right now is the very limited number of connected services. Spotify premium, Uber, Phillips Hue, the weather, texts, reminders, WiFi, Bluetooth, time and location are all you have to play with, done working as triggers, some the recipients of actions. The app is on its first full point release so do expect more services to become supported as the developers get time. They are also grateful for any good suggestions to help improve the app and are very active on their Google plus community page. 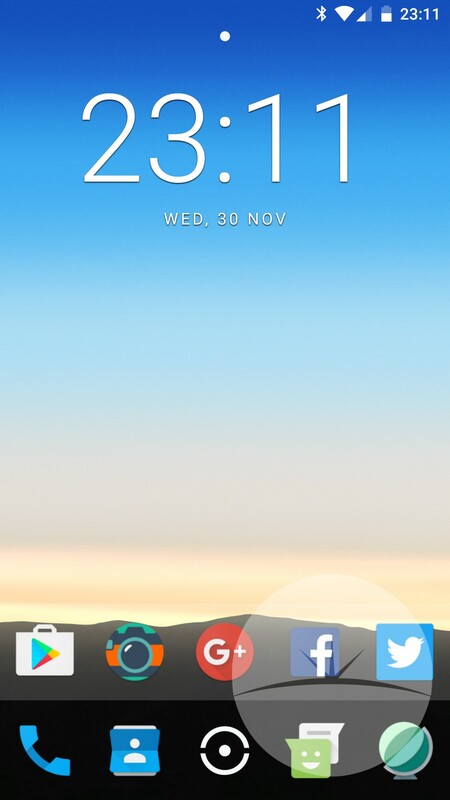 Thing launcher is a nice idea and works well with the limited services it supports but I feel the developers could have held off a full release until they had more API’s in use. My name is William Dahlheim and it’s me and my team that are behind Thing. We’re of course very excited about Thing and we hope you’ll love it as much as we do. Sorry if this comment will be a bit lenghty! I am very passionate about Thing and to see it in the hands of people all over the World is a fantastic feeling. For a real time list of countries where someone is using Thing, check out https://thing.se, just below the hero video. Pretty amazing. Thing came to be because we felt there was a need to improve mobile UX. Just as the author mentions, OEM launchers tend to be somewhat lacking. This coupled with the fact that we felt that other launchers were basically competing on pretty “minute” features, say, drop shadows, labels, themes and so on. Per se not a bad thing, of course, but there’s more you can do. The basic thought process was this – wouldn’t it be cool if my device could show me the apps I need whenever I need them instead of just dumping them in a wall of apps? Also, wouldn’t it be even more cool to tell my device how to do things for me? Basically put the power back in the hands of the users. We set out to simplify the UI as much as we could and started actual development in August last year. Time flies! A good deal of that time went to build the engine that runs the agents. Everything was built from scratch. This gave us a lot of flexibility as the off the shelf solutions were either too big, required a server side solution or just dog slow. We think privacy is a very important issue, so we dismissed a server side solution right away. Everything you see happens on device. The only exception is how we handle authorization tokens with Spotify (they last for 1 hour which would break if you have an agent that should fire after more than that) so we have a proxy that requests a refresh token. That’s it. The author is very right, we are lacking features and services – and that is for a reason! We figured that it’s better to ask our users which API’s they would want to integrate instead of us guessing. The ones we have now are to show the breadth of things you can do. Lifestyle meets tech in exciting ways. That’s why we set up the Google Group mentioned in the article (see https://plus.google.com/communities/100847411380430672830). Any ideas, suggestions and feedback – good or bad – is more than welcome. Together we can make Thing awesome! We have a great roadmap with very cool features ahead. Feel free to reach out to me directly at william@thing.se. Thanks a lot for a great review! We appreciate it more than you know. Hope to hear fro you guys soon. And, hey, if you’re interested in joining us in beautiful Stockholm, we’re always looking! We’re looking for a CTO who loves a challenge. We’re building some B2B solutions too that are crazy cool. Get in touch! There’s equity and coffee in it for you. Thanks for the reply and clarification on the way you are progressing with the launcher William. The score I gave is obviously based on where the launcher is at present rather than what it will hopefully become. It’s the reason the article was posted as a first look rather than a full review as well. It would be nice if one of the team could treasure some time out and post an in depth tutorial on programming the agents with a link to it in the app itself, a lot of folk will install, have a look & unistall rather than ride it out. As you are on a 1.0 release I do understand why the connected services are limited but I felt I had to highlight it as it will be a major contributing factor if a user stays with the launcher or not. Droid Horizon wishes you and the team well in the continued development of the app, and hopefully it goes from strength to strength. Thank you for your kind words! A first look was very suitable. Indeed, I’m going to start posting on Medium – I have a suite of topics ranging from design and UX to the technical aspects. I think it’ll be a lot of fun! Some posts, then, will also be more in depth tutorials of the agents and how to use them the best. We’re on it! Expect a lot more soon 🙂 Thanks again!